Prince Harry and Meghan Markle have a baby on the way, and like many new parents, they’ve decided to upgrade to a more spacious home. The palace recently announced that early next year, the Duke and Duchess of Sussex will leave Kensington Palace to move to Frogmore Cottage on the Windsor estate. Frogmore Cottage is a major step up from Meghan and Harry’s current place, Nottingham Cottage. While Nottingham Cottage has only two bedrooms, Frogmore Cottage has 10. Plus a new nursery. Plus plenty of room for a gym and a yoga studio. Not too shabby, eh? Moreover, in preparation for the royal family, the property is reportedly undergoing a multimillion pound renovation as we speak. And that’s just the cottage itself. The building is surrounded by gorgeous grounds, which hold a special place in the duke and duchess’ hearts. According to People, the royal couple had their private evening wedding party there, and they also shot their engagement photos there. The royal family confirmed the moving news with a statement on November 24. The Duke and Duchess of Sussex are expecting their first baby in the spring, and like many first-time parents, they’ve decided to move into a bigger home with more space. There’s been a ton of speculation recently about where, exactly, the duke and duchess would land. Would they upgrade to a bigger apartment in Kensington Palace, where they now reside? Or would they opt for another royal residence altogether? The royal family has now officially confirmed that Meghan and Harry will, in fact, leave Kensington Palace. They’re moving into Frogmore Cottage, a property on the Windsor Castle estate. Frogmore Cottage boasts 10 bedrooms and a new nursery — perfect for Meghan and Harry’s growing family. Especially since Meghan’s mom, Doria Ragland, reportedly plans to stay there often! It’s a major upgrade from Nottingham Cottage, where they currently live, which has only two bedrooms. The new place also has room for a gym and a yoga studio. Frogmore Cottage isn’t quite ready for Meghan and Harry just yet, however. 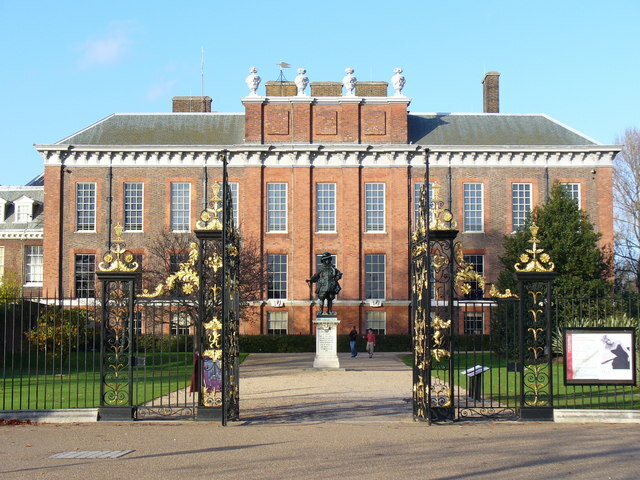 Currently, the property is divided into five units, and members of the palace staff have been living there, the Sun‘s royal correspondent Emily Andrews reports. The property is undergoing major renovations, which will reportedly cost millions of pounds. Meghan and Harry are hoping to move in early next year, before the birth of their child. Meanwhile, “the Duke and Duchess’s office will continue to be based at Kensington Palace,” according to a report from the palace. And the couple will keep their country home in the Cotswolds, too. So why did Meghan and Harry choose Frogmore Cottage out of all the properties available — including one that was right next door to William and Kate? For one thing, Frogmore holds special significance for the couple. “It’s where they had their private evening wedding party and where their engagement pictures were shot,” Emily Andrews tweeted. An inside source also told the Sun that “there has been a bit of tension between the brothers.” So perhaps some space is for the best. There’s plenty of fascinating royal history at Frogmore Cottage, too. One former inhabitant is Queen Charlotte, who used it as a retreat for herself and her daughters, according to Town & Country. In addition to the cottage, the larger Frogmore House grounds also include the mausoleum of Queen Victoria and Prince Albert. Harry’s great-great uncle, King Edward VIII, is also buried there. Even Harry’s own father and grandmother used to spend quality family time there! One thing is for sure: Frogmore Cottage certainly looks like a lovely place for Baby Sussex to grow up.